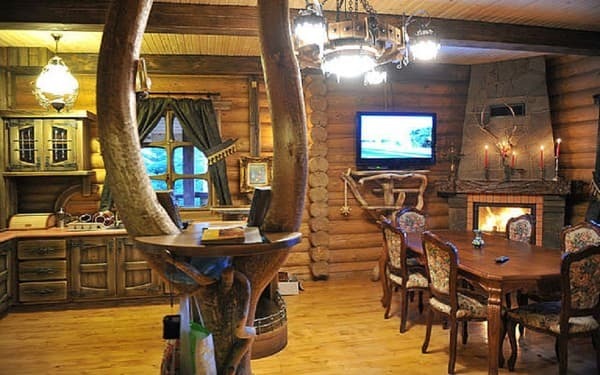 Cottage "Wooden frame" is located in Migovo, next to the ski resort at 5 km from the route Chernivtsi-Vizhnitsa-Verkhovyna. Three-storey cottage with everything necessary for a comfortable stay. 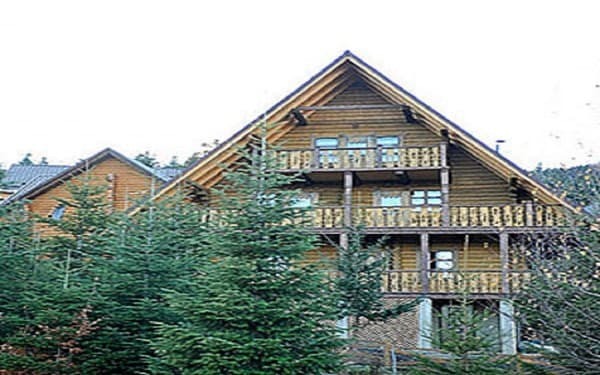 On the ground floor there is a living room with a fireplace and a kitchenette, a double room and a bathroom. On the second floor there are two double rooms with double beds and bathrooms. On the third floor there is one double room with all conveniences. The cottage has a fully equipped kitchenette with everything necessary for self-cooking. There is a possibility to order two meals a day. 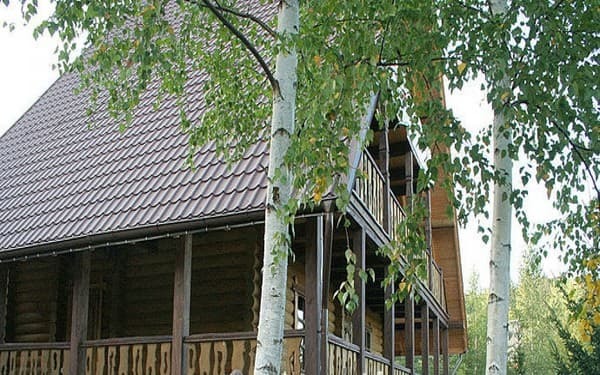 At the service of tourists in the "Wooden Cottage" in the territory is a swimming pool (8 * 4 m) with sun loungers. In walking distance are a restaurant and a shop. The nearest restaurant is 70 meters away, the store is 100 meters away. The distance to the nearest ski lift is 200 meters. Description of the room: Three-storey cottage for 8 people. 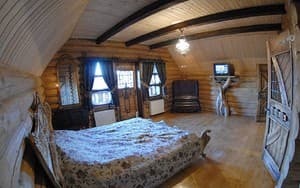 There are 2 double rooms in the cottage. In the rooms on the second and third floors are the amenities in the room. The guests have their own kitchen with everything you need. On the first floor there is a fireplace room, a room with a sofa bed, a kitchen, a bathroom. In the rooms a necessary set of furniture. On the possibility of an additional place to specify when booking. At guests' disposal in the cottage there is a fully equipped kitchenette with everything necessary for self-cooking. In walking distance are a restaurant and a shop. 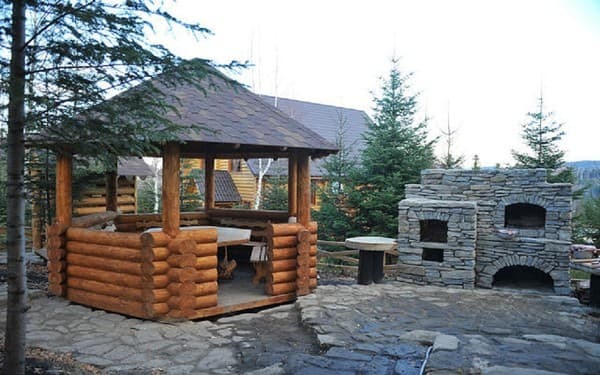 The cottage is located 5 km. from the route Chernivtsi-Vyzhnytsya-Verkhovyna. The nearest restaurant is 70 meters away, the store is 100 meters away. By train or bus to Chernivtsi, then from bus station # 1 by minibus to. Migovo (daily route, on schedule). By personal transport along the road Chernivtsi-Vyzhnitsa-Verkhovyna (R-62), in the village of Beregomet, turn at the sign of the ski complex "Migovo". Near the bridge at the entrance to the complex turn at the sign "Gateway to the Carpathians".